This blog series was written by Tyler Short (Sustainable Agriculture of Louisville), with editing support through the USFSA’s narrative strategy collective. 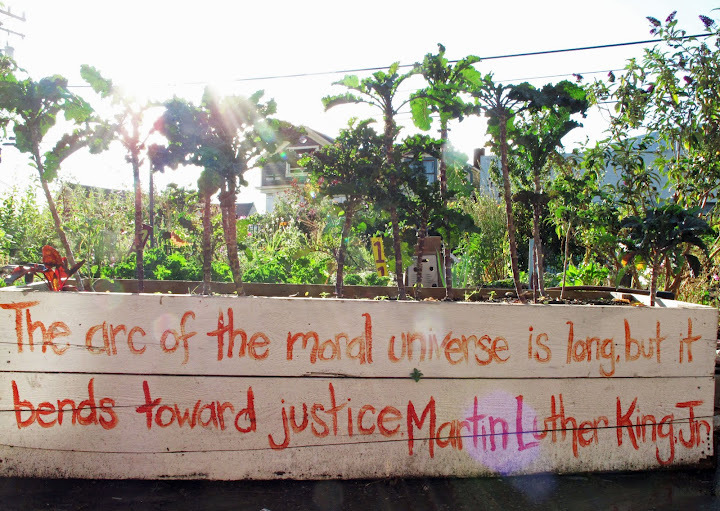 This six-part writing series is based on the Food Sovereignty and Agroecology Delegation in Nicaragua (January 3–13, 2019) organized by Friends of the ATC (FATC), a solidarity network closely allied with La Asociación de Trabajadores del Campo (the ATC; Association of Rural Workers). I had the great privilege and responsibility of representing the U.S. Food Sovereignty Alliance (USFSA) on the brigade. Below, I spotlight the delegation’s purpose and agenda. Part Two overviews the ATC and introduces a framework for contextual analysis — a group-based critical thinking and discussion exercise practiced by members and allies of La Via Campesina (LVC). The third part of this series outlines the origins of LVC and the Latin American Coordination of Rural Organizations (CLOC). Parts Four and Five report on my two rural homestays. The final part includes personal reflections and lines of inquiry for long-term study. I heard about the January delegation when FATC made an announcement at the USFSA’s IV National Assembly (October 12–14, 2018) in the Pacific Northwest, where over 100 members and allies convened for three days of celebration, plenaries, workshops, and decision-making on behalf of the Alliance. FATC accompanied ATC International Relations Secretary Fausto Torrez at the event. He spoke on a panel with leaders from National Farmers Union (Canada), Mississippi Association of Cooperatives, and Community to Community, the local host for the assembly. FATC publicized the delegation as a timely opportunity to study feminism and socialism in the Nicaraguan countryside. Calls for applications invited individuals and representatives of organizations to visit with peasants, women, and youth scaling-out agroecology and constructing the pillars of food sovereignty. The delegation consisted of 36 individuals who fit into two broad categories: FATC organizers and affiliates from the U.S., Canada, and Germany; and delegates from Central America’s first Instituto Agroecológico en Latinoamérica (IALA; Institute for Agroecology in Latin America). As the USFSA’s representative, my objectives revolved around listening and learning from the ATC and FATC. I had no specific mandate from the national coordination team of the USFSA. Although I served as the Alliance’s official delegate, six more individuals in the group represented USFSA member organizations (WhyHunger, Multinational Exchange for Sustainable Agriculture, and Family Farm Defenders; FATC recently applied to become a member of the Alliance). I contributed to FATC’s centralized note-taking and participated in the collective that produced a full report over the following weeks. FATC encouraged delegates to pay close attention to local people’s stories connected to agroecology and what Fausto Torrez of the ATC described as “the soft coup attempt” (April–July 2018) against the Government of National Unity and Reconciliation led by President Daniel Ortega (2007–present; currently serving his third consecutive term; previously served as President [1985-1990] and coordinated the Junta of National Reconstruction [1979–1985] after the Sandinistas overthrew the Somoza dictatorship). Planning and facilitation were shared between FATC, the ATC, IALA, Fundación Entre Mujeres, Compas de Nicaragua, and members of the communities that hosted delegates. Alliance for Global Justice assisted with recruitment and follow-up. One orientation call occurred prior to the opening day. FATC provided background materials and recommended readings. Spanish–English interpretation occurred in each group meeting and was available in most informal spaces. The agenda began with delegates learning from the ATC and each other during two days (Friday–Saturday) of presentations and conversation at the Francisco Morazán International Peasant Worker School in Managua. ATC leaders offered backgrounds on their Association, CLOC–LVC, and the 2018 coup attempt. IALA students presented on agroecology and the IALA curriculum. While in the capital, we also went to the Salvador Allende Port, and a young Sandinista government employee guided us with history lessons at the Plaza de la Revolución and National Palace. Next, we departed to our first homestay (Sunday–Wednesday). Delegates traveled in sub-groups to five communities in the south (La Paz and Santa Teresa – in Carazo) and the north (El Rosario, El Colorado, and La Montanita – in Estelí). Experiences varied across the communities, but each day generally entailed community-based popular education involving agricultural work, group discussions, and tours. Delegates in Santa Teresa and La Montanita stayed with ATC-affiliated communities. Members of Fundación Entre Mujeres (FEM; Foundation Between Women) hosted the groups in El Rosario and El Colorado. The organization Compas de Nicaragua welcomed the group in La Paz. For the second homestay (Wednesday–Saturday), everyone convened in Santa Julia, and we were hosted by members of Cooperativa Gloria Quintanilla, a women’s coffee cooperative. We contributed to collective tasks such as sorting coffee, digging ditches, and installing two biogas systems in partnership with Compas de Nicaragua. Groups of delegates presented to each other concerning our first homestays, and we conducted an evaluation of the agenda and logistics. The delegation concluded with a celebration with the women’s cooperative as well as a day of sightseeing to the Catarina viewpoint and the Masaya volcano and markets. FATC interchangeably used the terms delegation, intercambio (learning exchange), and encuentro (encounter) in reference to our ten-day process in Nicaragua. 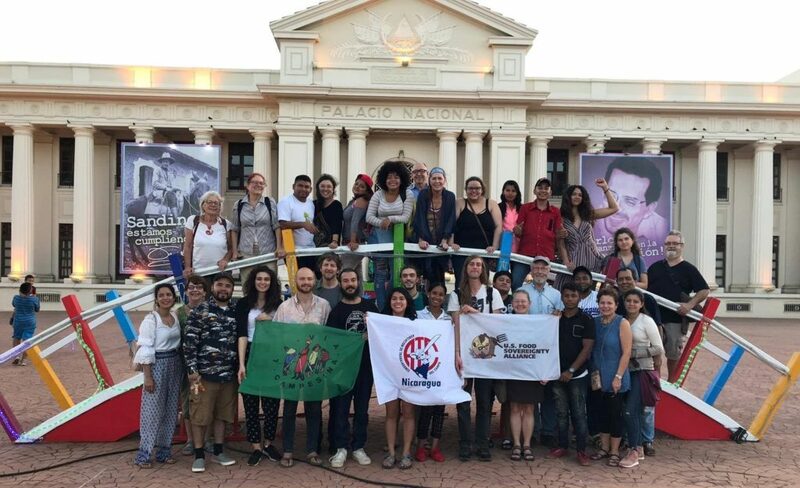 FATC Coordinator Erika Takeo stated that delegations function to continue the decades-long solidarity extended to Nicaragua from people around the world, specifically in support of the ATC and the Sandinista Revolution. The facilitation team’s method of organizing homestays and community-based activities allowed for participatory, intergenerational, and horizontal learning within the delegation and between hosts and guests. FATC tasked delegates to return home, report-back to our organizations and communities, and stay connected for follow-up actions pertaining to communications, fundraising, and political education. Before proceeding to the next part of this writing series which overviews the ATC, it should be noted that the delegation was my first time in Nicaragua. I report information that the ATC and FATC offered in presentations, group meetings, and more informal settings, in addition to contextual elements gleaned through online research. For background information on the recent political situation in Nicaragua, please see the FATC’s final report from the January 2019 delegation.